Zhavia Ward has a septum nose hoop and a medusa stud in “Candlelight” music video. 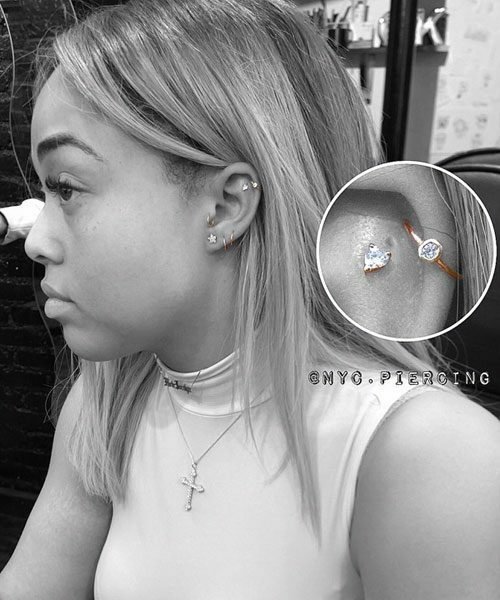 Jordyn Woods gets two new piercings in her right cartilage. 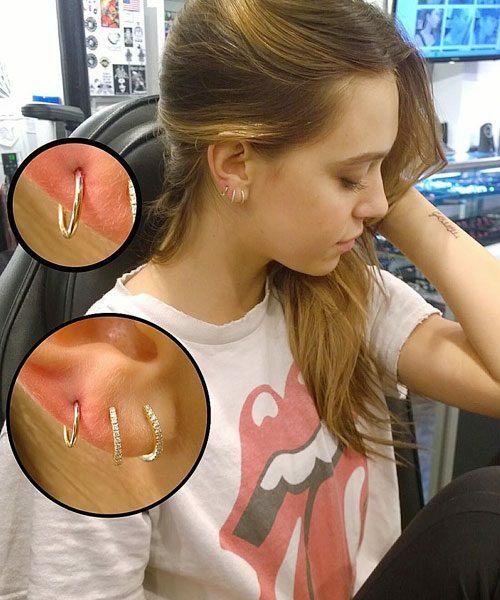 Alexis Ren gets a 14k gold seamless hoop, 18g? 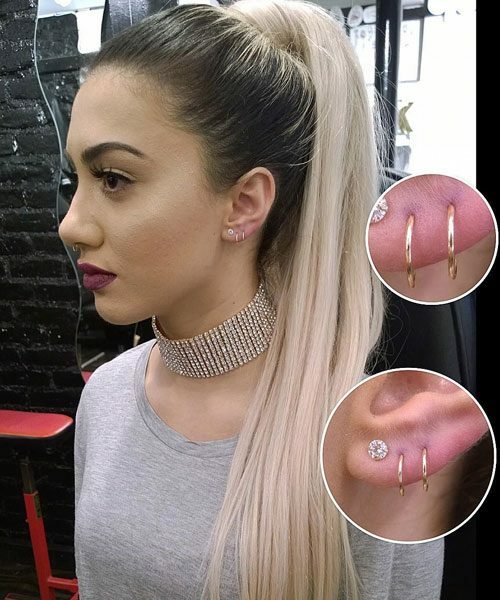 piercing in her right ear. 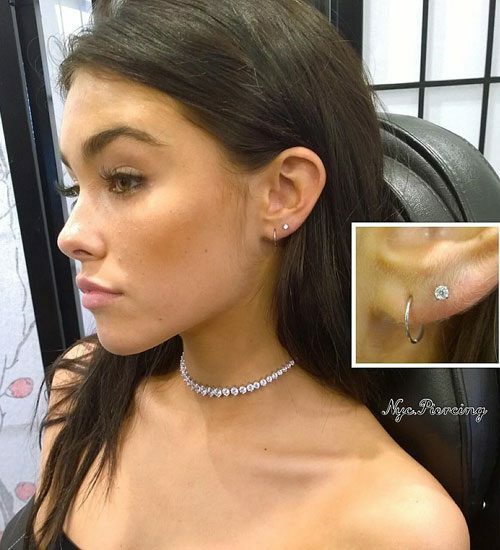 Madison Beer gets a new piercing in her left ear. 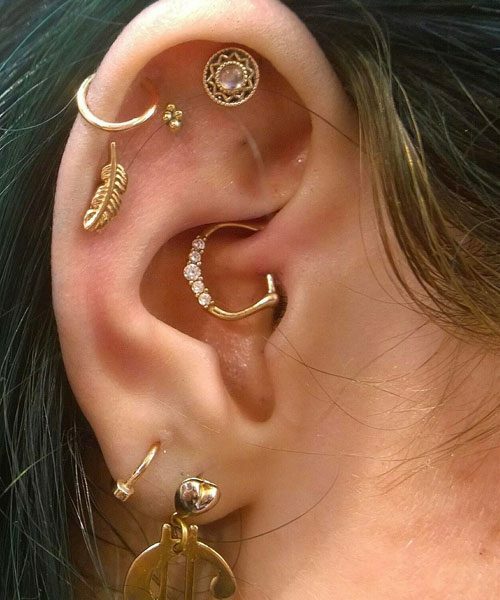 Bella Thorne gets a new daith piercing at West 4 Tattoo parlor on January 27, 2017. With this one, she now has a total of seven piercings in her right ear. 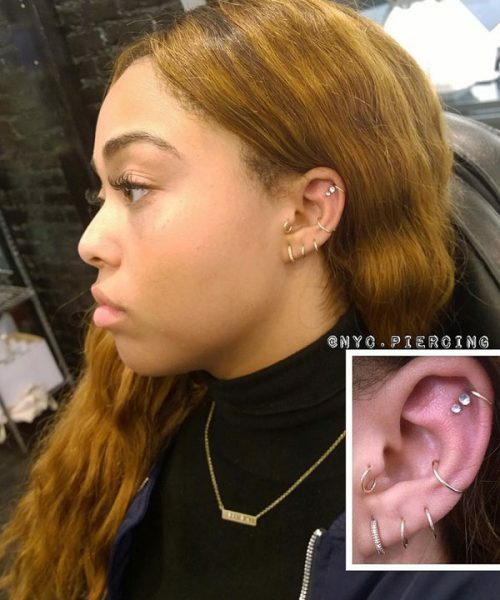 Jordyn Woods has a total of eight piercings in her left ear. 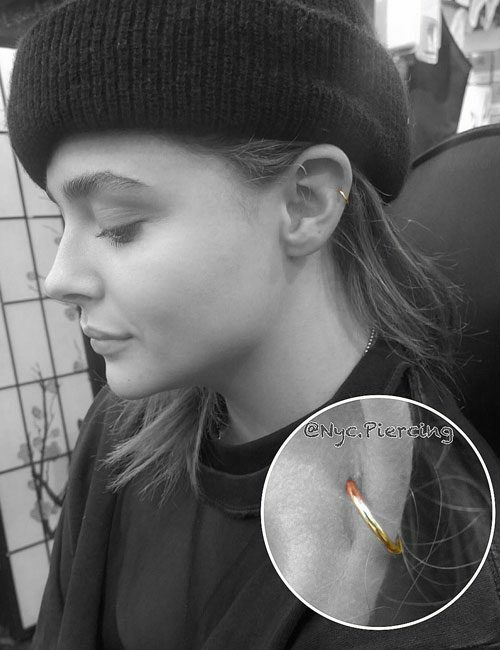 Chloe Grace Moretz gets a fresh new cartilage piercing on February 11, 2017 for her birthday at West 4 Tattoo parlor in New York. Actress Ronni Hawk wore two stud piercings in her left lobe ear and one ring piercing in her cartilage at the Premiere Of Disney And Marvel’s ‘Guardians Of The Galaxy Vol. 2’ at Dolby Theatre in Los Angeles, California on Wednesday April 19, 2017. 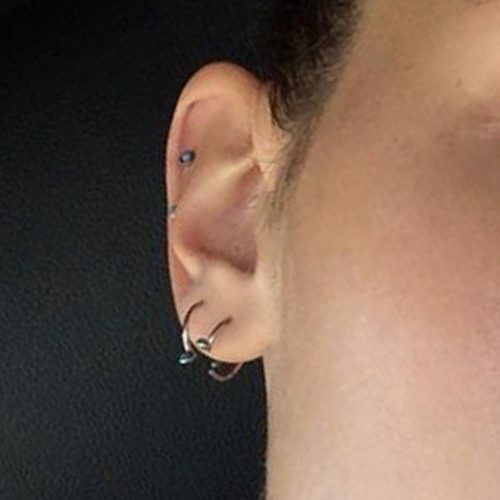 Bella Hadid wears four piercings in her right ear.